Shooting a bow is not very difficult. All that you have to do is put an arrow on a bow, pull the string back and let the string go. However, actually hitting the target is a little bit harder and hitting the bull's eye is difficult. That difficulty is compounded when the target is 40 centimeters long and at ranges up to thirty yards. To do this, an Archer has to block out all distractions and focus on hitting the target. Seconds become minutes, an eternity passes before the arrow hits the target. Like in all sports, practicing is the key to getting better. 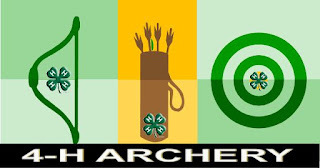 The 4-H Archery Club of Orange practiced all year to prepare for the 4-H State Archery Tournament. It was a warm day with a slight breeze. Archers from all over the state attended the event to test their skills. 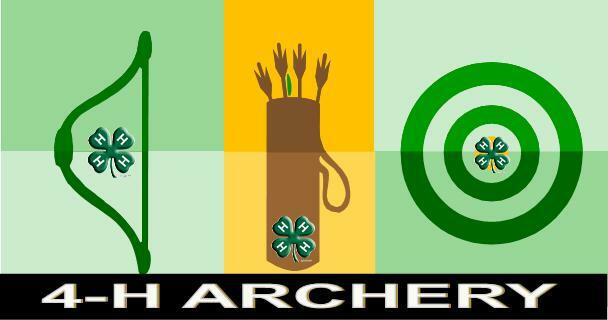 Three archers from the Orange 4-H Archery Club participated in the State Tournament that day. Lucien Payette, sporting a no let-off, bare bow received a score of 44 points in his division. Next on the line was Nathan Cole, shooting in the compound bow division, netted a whopping 121 points. Zachary Douthit was last on the line that day. He was going to age out of 4-H and wanted to end it on a high note. Zachary scored a total of 112 points, winning him first place in his division. It was a great day for the Archers!